Our long standing positive relationship with Vail Resorts has resulted in Collaborative Design Studio’s commission to design the new mid-mountain lodge for Northstar at Tahoe Ski Resort owned by Vail Resorts. The lodge is situated at approximately 7,900’ above sea level and 500’ to the north of the Tahoe Zephyr ski lift, one of Northstar’s most active lifts. 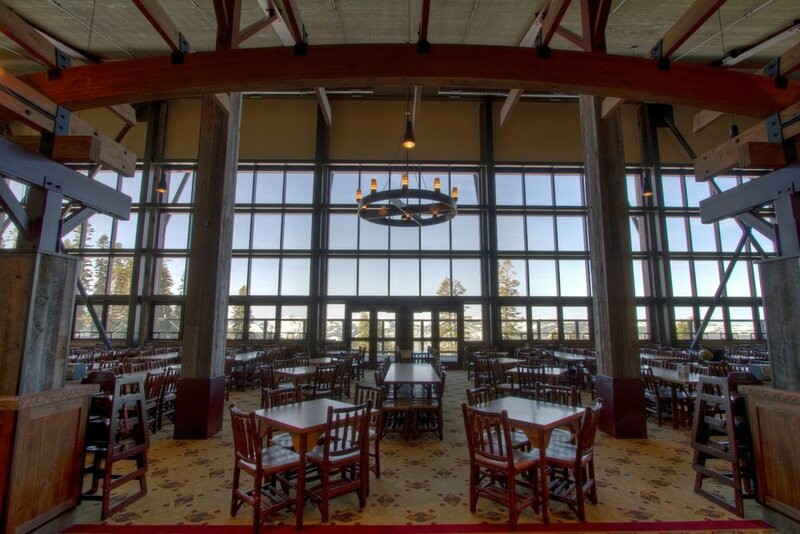 The lodge has been oriented to serve the skiers and trails to the East and South while capturing spectacular views of the Sierra Nevada Mountain Range to the West. 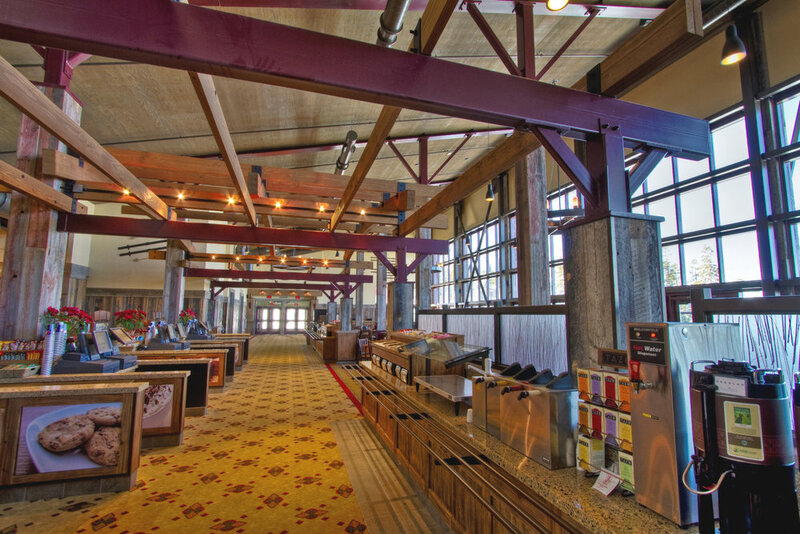 The two-story, 16,500 sf building program includes seating for 500 guests, scramble style servery, full service kitchen, restrooms, and food storage areas plus an elevated deck to accommodate approximately 280 guests. The remoteness and elevation of the facility necessitated the incorporation of sophisticated mechanical systems to withstand and operate amidst the severe winter weather conditions of the Sierras. The intent of the building design was to create an appealing structure both subtle and complementary to the dominant beauty of the surrounding mountain setting. The building's massing is simplistic in nature and elegant in its detailing. The use of natural materials, such as reclaimed wood siding and tin, that are compatible with the native landscape of the site in both color and texture, were used to blend in with the surrounding landscape and topography. Additionally, the building height allows natural lighting and passive solar heat to enter the building through the windows. The 3:12 roof slope facilitates the necessary snow shed. This building has achieved LEED certification.